With a rather knowing flourish, they call these parties 'sleepovers', and this one was at the invitation of Nick Jones, the boss of Soho House, the fashionable global chain of members' clubs. Jones is famed for creating sleek, super-private party palaces around the globe, and this celebration marked the opening of an outpost of the Soho House empire in Amsterdam, surely the European capital with the naughtiest reputation. Last weekend, however, was a particular milestone since the usual crowd of millionaires and celebrities were joined — in secret — by no less a couple than Prince Harry and his new wife, the Duchess of Sussex. The duchess joined the club chain when she was plain Meghan Markle and filming her legal drama, Suits, in Toronto four years ago. A guest told me: 'On the Friday night it was more of a loose party, and Prince Harry and Meghan were circulating with everyone. 'Because she went to the opening of Soho House in Istanbul in 2015, it was a very similar invitation list, so she did know a lot of people. She spoke to everyone, and Harry never left her side. They looked absolutely in love. 'They were side by side throughout the night and sat on the top table with Jones. As the evening wore on, I think more people became emboldened to go up and talk to her. She behaved beautifully. Indeed it was. As a post on Instagram by Radio 1 DJ and party animal Nick Grimshaw makes clear, it was a big night. 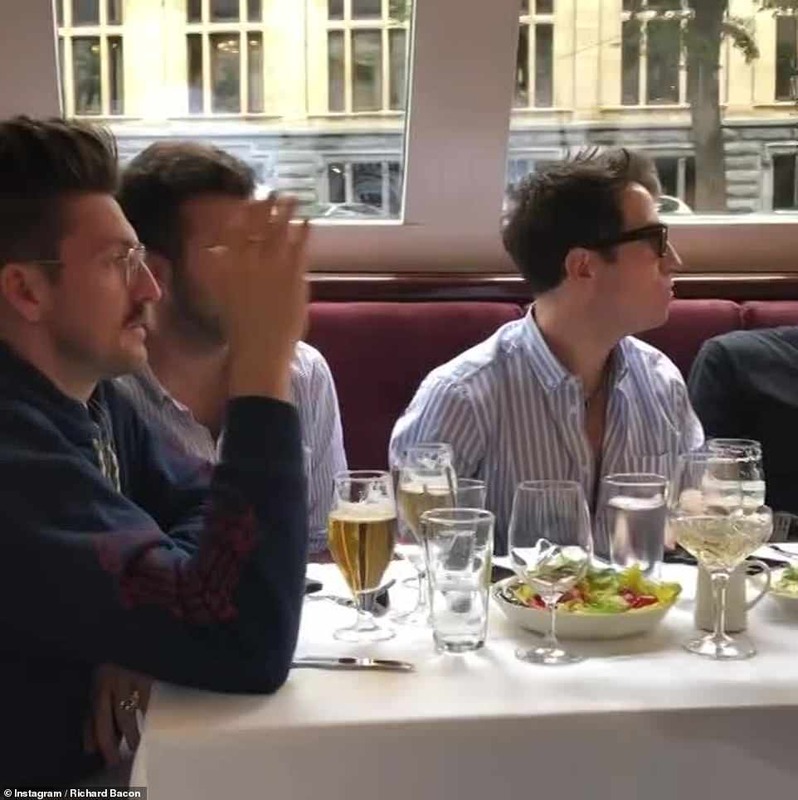 He posted video footage of fashion designer Henry Holland trying to sip his drink through a 'straw' which was actually the stalk of a chilli pepper, while loud music thumps in the background. The final stragglers left the Friday night party at around 5am, although Meghan, 37, and Harry, 34, are thought to have gone to bed 'long before' then. What's fascinating is that the royal newlyweds were happy to mingle with some very louche celebrities indeed. Grimshaw, of course, is one of the biggest shakers on the London party scene. Others present are equally famed for their after-dark antics.Party planner Fran Cutler — who was behind all the biggest thrashes during the Nineties Britpop era and is a great friend of model Kate Moss — was there. So, too, was PR guru Matthew Freud, in a grey velvet jacket. His grinning shadow for the night was movie producer and one-time employee Kris Thykier, best-known as husband of Claudia Winkleman. While his wife presented Strictly from BBC studios at Elstree, Thykier was propping up the art-deco bar with Freud and a couple of blondes. It all sounds like jolly good fun, all the more so because, naturally, none of the invited guests had to pay a penny for their weekend of luxury. The royal couple, wisely, were not among those who took part in a conducted walking tour of the nearby red-light district on Friday.Neither did they go on the lunchtime canal tour on Saturday, a leisurely affair which a picture posted by actor Douglas Booth reveals featured delicious-looking beef wellington and plenty of wine. On Saturday night, Harry and Meghan were seated at one discreet end of a long table, and were served lobster spaghetti, followed by tiramisu. Meghan, smiling and giggling, had a glass of red wine in front of her — perhaps it was her favourite Tignanello, on the Soho House menu at £115 a bottle, while Harry seemed to be drinking vodka cocktails. The couple spent a long time in conversation with Old Etonian actor Eddie Redmayne, 36, who was in Prince William's year at school, and who attended with his wife of four years, Hannah, 35. 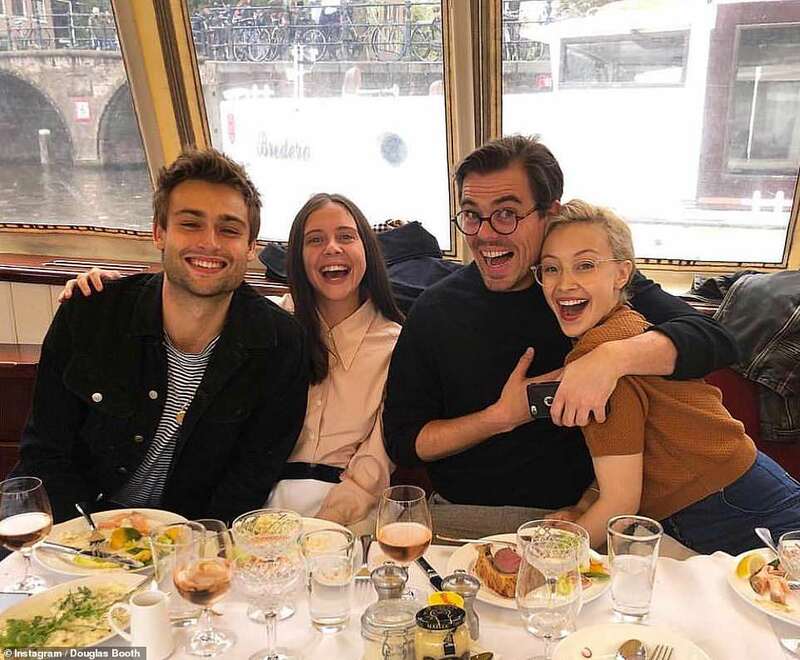 They also hung out with Fifty Shades actor Jamie Dornan, 36, and his wife Amelia Warner, also 36, plus the pillow-lipped Riot Club star Douglas Booth, 26, and his actress girlfriend Bel Powley, 26. Victoria actress Jenna Coleman, 32, who has known Harry for several years, was there and in their gang — indeed, there was once talk of a romance between her and the prince after they were spotted having a tete-a-tete during a charity polo match in Ascot in 2015. Most time of all, though, was spent with the flamboyant Markus Anderson, Meghan's pal who nabbed a prime spot at their May wedding and who oversaw their first and second dates (both at Soho Houses where he worked, in London and Toronto). 'He's her great friend,' I'm told. It seems that urbane Anderson, who is jovially known as 'Lady A', is a great influence on the newlywed duchess. Indeed, I can reveal that a rosé wine named in his honour was served at her wedding reception at Frogmore House in Windsor in May. It is one of the wines served at all the Soho Houses. On Sunday morning, Harry and Meghan left the art deco building on the Singel canal after breakfast. Fellow guests suggest that Meghan had the fruit salad and granola. If either of the Sussexes had enjoyed treatments at the Cowshed spa, or used the top-grade gym or rooftop pool, no one seems to have seen them doing so. The weekend visit underlines the special place Soho House holds in Meghan's heart — even her friendship with royal wedding guest Amal Clooney seems to have been fostered via the clubs, of which Mrs Clooney is a member. Soho House was set up in 1995 as a club for people in the creative industries, and quickly became famous as a place where anything goes. Mobile phones are banned, and the taking of pictures is also verboten, which perhaps makes it doubly attractive to Meghan and Harry and to the many celebrities who carry its distinctive black and purple membership card. It's the epicentre of showbiz and society life. You might find David Tennant propping up the bar a few yards away from Princess Eugenie and Hugh Grant, Coldplay star Chris Martin canoodling with Fifty Shades actress Dakota Johnson in one corner, and George and Amal Clooney dining in another. Harry and Meghan are regulars at trendy rural offshoot, the Soho Farmhouse in the Cotswolds, where they come into contact with Victoria and David Beckham. Both couples have houses nearby — Meghan and Harry rent their weekend house, while the Beckhams own a converted barn. Meghan has been a member since 2014, when she was introduced to Markus Anderson by her previous boyfriend, chef Cory Vitiello. Anderson had started out as a waiter at Soho House in London, and was the Soho House global membership director for years, meaning his job was to decide which moneyed hipsters gained entry to the private clubs. He moved to Toronto in late 2012 to help Nick Jones open a branch in the city. 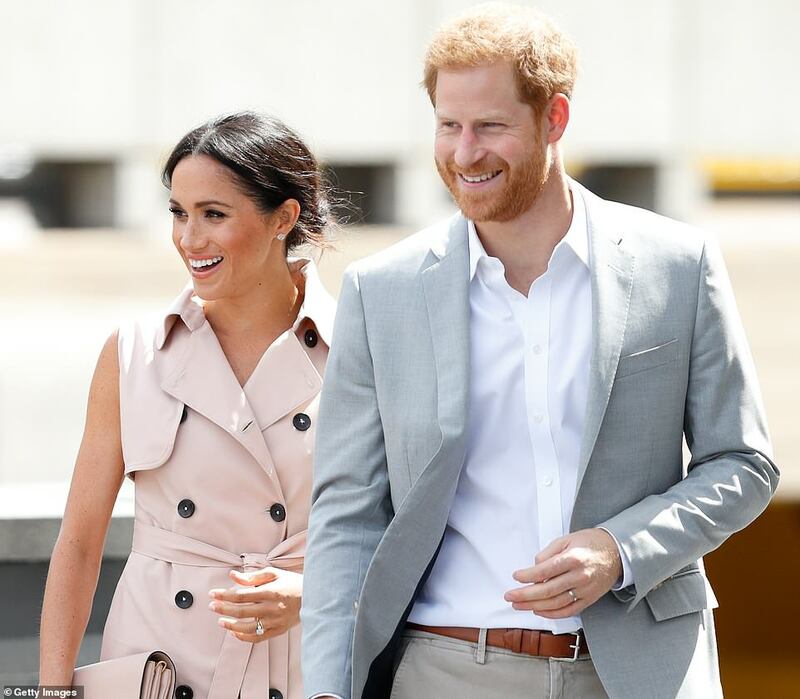 A fun-loving sophisticate and the 'King of Soho House', he and stylist Jessica Mulroney — Meghan's best friend — formed a trio with Markle when all three were based in Toronto and enjoyed many nights out together. In fact, Meghan was on a holiday in Europe with fashion designer Misha Nonoo and Anderson when she was introduced to Prince Harry in July 2016.Anderson took her for breakfast at the Dean Street branch of Soho House in London on July 5, and she thanked him on her now deleted Instagram account. At some point around this time, he arranged for her to have a private room for her first date with Prince Harry. As the Harry-Meghan romance blossomed, it was conducted in Soho Houses around the world. Anderson also arranged her hen party at Farm Cottage, a four-bedroom house away from the rest of the complex at Soho Farmhouse.Freshly baked bread was waiting for Meghan and her guests, ready mixed Negroni cocktails were among offerings in the bar, and cashmere hot water bottles were provided to ward off the seasonal chill in every bedroom.The party — held in early March — comprised Meghan, Markus, Pilates instructor Heather Dorak and Lindsay Jill Roth, who is Meghan's best friend from university. The main event was a lunch on Sunday, served around the cosy wooden table of the cottage, and provided by the renowned catering staff at Soho Farmhouse. There was also an Oscars screening party on the Sunday night, with sushi being brought over on one of the hotel's pastel-painted milk floats from the Pen Yen Japanese restaurant in the boathouse. This time around, in Amsterdam, the invitation for the weekend sleepover came with a promise of 'eating, drinking, napping, dancing, boats and bikes'. The event happily coincided with the 55th birthday of Soho House owner Nick Jones. His second wife, the Scots-born broadcaster Kirsty Young, gave a short, heartfelt speech about her husband's sterling qualities on the Saturday, and Meghan and Harry joined in with the cheers and clapping afterwards. But then they are very much members of the Soho House family now.